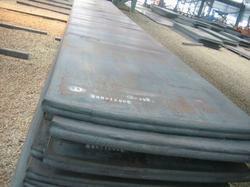 We are a leading Exporter of corrosion resistance plates from Mumbai, India. S-TEN, a corrosion resistant steel for sulfuric acid dew, has been widely used in flue gas treating equipment such as air preheaters, smoke stacks and ducts as a countermeasure for low temperature corrosion caused by sulfur oxides. The steel also shows excellent corrosion resistance to the corrosion problem at waste incinerating facilities, where hydrochloric acid dew corrosion resulting from lower-temperature waste gas, is anticipated. S-TEN is a high-quality, economical steel made of the steel material having such high corrosion resistance and produced under the same quality control as that for power station. S-TEN has strength, workability & Weld ability that are comparable to ordinary steel. S-TEN is more economical than stainless steel. Leomet Alloys Inc is authorized importer and stockist of S-TEN from Nippon Sumitomo Japan. Corrision Resistance Plates in Dubai, China, South Africa, Kenya, Africa, UAE, Saudi & Oman. Looking for Corrosion Resistance Plates ?